Whether you are planning a business trip to Long beach or a fun holiday, Lomita limos by ULC will prove to be a comfortable transportation with just the right dash of luxury to make any occasion a memorable one. We at ULC Long Beach limo rental service are the destination ultimate for those who demand unbeatable service and value for money. By delivering first class Long Beach Limousine rental service consistently, we try and exceed customer expectations and provide them word class travel experience, which is guaranteed to take the stress out of your travel plans. 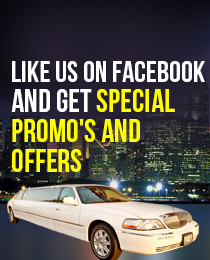 Long Beach Limousine Service by ULC maintains the highest level of service without burning a hole in your pocket. Our Long beach limo rental service brings you a wide range of limousine makes to meet the needs of different occasions. If you want to make a subtle statement then go for our elegant Rolls Royce Limo and if you love to keep things loud then the hummer limo at our Long Beach Limo Service, will make you the star at any gathering. Our extensive range of Long Beach limo rentals consist executive sedans, Lincoln stretch limo, Long beach party buses, SUV limos etc. Which Long beach Limo is Right For You?